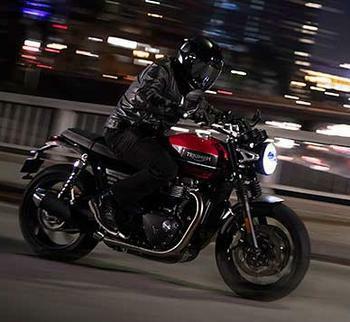 Triumph Motorcycles America is recalling 726 model year 2019 Speed Twin motorcycles. Improper routing of the coolant hose may cause it to contact the exhaust header pipe, damaging the hose and resulting in a coolant leak near the rear tire. Loss of coolant near the rear tire may cause a loss of traction, increasing the risk of crash. Triumph will notify owners, and dealers will inspect the coolant hose routing, rerouting the hose and replacing it if necessary free of charge. Owners may contact Triumph customer service at 1-678-854-2010. Triumph's number for this recall is SRAN563.